Z. has spent the last decade writing about the intersection of pop culture, music, and gaming—first via nerdcore blog Hipster, please! 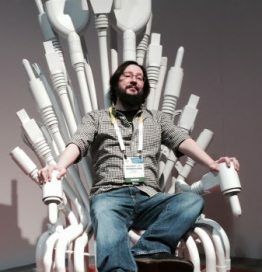 and later as a contributor and eventual editor at GeekDad.com—and his fortnightly podcast, Radio Free Hipster, has twice won the Parsec Award for Best Speculative Fiction Music Podcast. Z. resides in upstate SC with his two children, an ill-tempered housecat, and more Nintendo Game Boys than any single man should own.